I downloaded Disk Inventory X some time ago but I only tried it for the first time today. 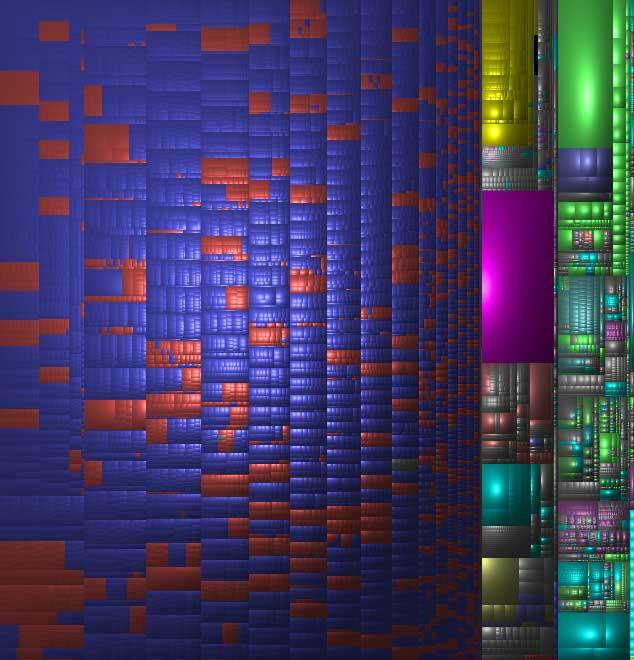 It creates treemaps of your drive, or directories within it, enabling you to see how much space files take up. There’s always something fascinating about treemaps like ye olde Market Map or the recent hit Newsmap, and being able to see your own data is as intriguing as it is useful. 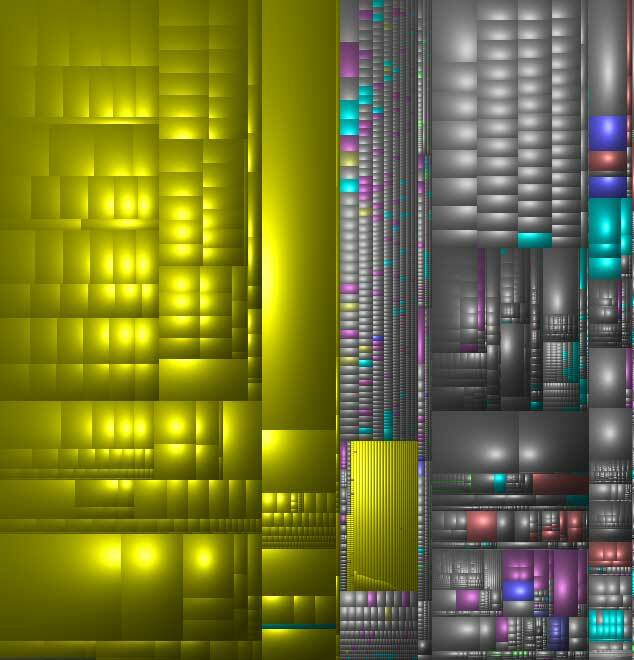 You can see the maps of my hard drive (the blue and red are MP3s), my Documents folder (the yellow blocks on the left are Eudora files) or my Applications folder (all those big chunks on the left are iDVD related). They look like some kind of Matrix -themed Sim City and hopefully, before too long, we’ll be able to zoom into the digital nooks and crannies like Neo or Case. In the meantime I’ve realised I can chuck iDVD, make my Virtual PC’s virtual drive smaller and probably trash the Developer Tools. The windows version is known as Sequioa View (http://www.win.tue.nl/sequoiaview/) one draw back is it will only work in over 256 colour, so it won't work on a terminal session. 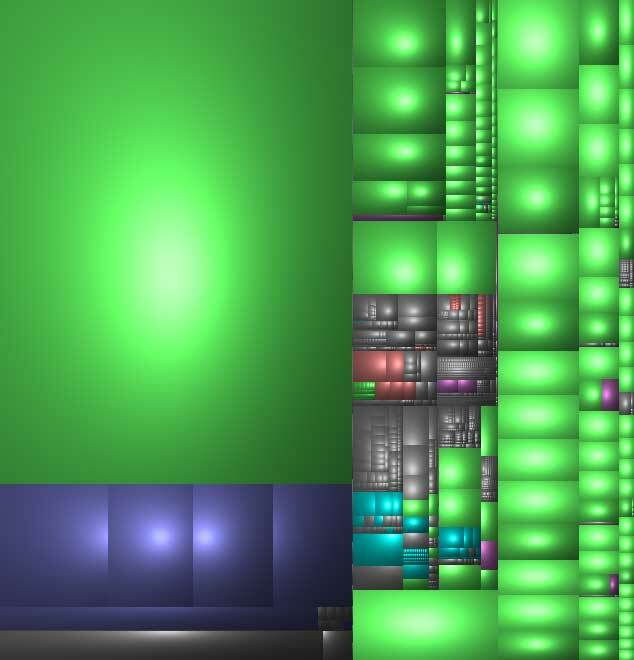 Cracking app, on every PC I use.